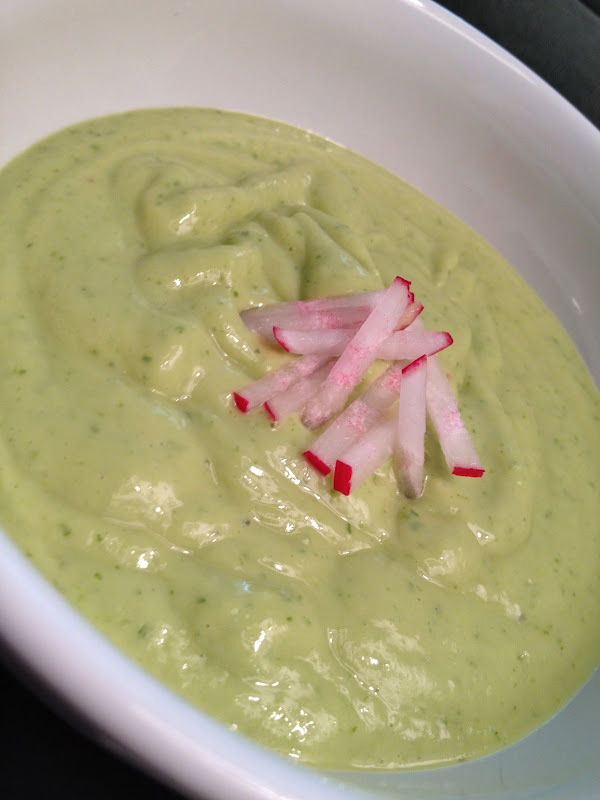 I had two perfectly ripe avocados sitting on the counter and thought it was time to make this soup. Very refreshing treat on a hot summer day! Find the recipe on page 26 of the Candle 79 cookbook.